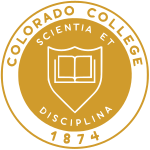 The Colorado College (CC) is a private liberal arts college in Colorado Springs, Colorado. It was founded in 1874 by Thomas Nelson Haskell in his daughter's memory. 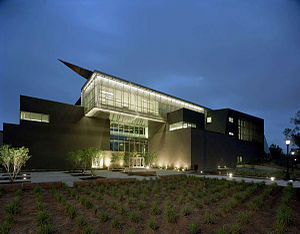 The college enrolls approximately 2,000 undergraduates at its 90-acre (36 ha) campus, 70 miles (110 km) south of Denver. The college offers 42 majors and 33 minors, and has a student-faculty ratio of 10:1. Famous alumni include James Heckman, Ken Salazar, Lynne Cheney, Thomas Hornsby Ferril, Marc Webb, and Steve Sabol. Colorado College had an acceptance rate of 15% for the Class of 2022, was ranked as the best private college in Colorado by Forbes, and was listed as tied for the 23rd-best National Liberal Arts College, and as the No. 1 Most Innovative Liberal Arts School, in the 2018 U.S. News & World Report rankings. 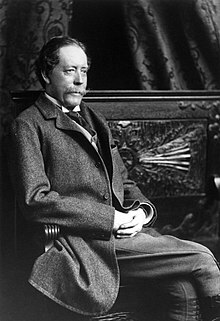 In addition, Kiplinger's Personal Finance ranked Colorado College 16th in its 2018 rating of best value liberal arts colleges in the U.S.
Colorado College was founded in 1874 on land designated by U.S. Civil War veteran General William Jackson Palmer, the founder of the Denver and Rio Grande Railroad and of Colorado Springs. Founder Thomas Nelson Haskell described it as a coeducational liberal arts college in the tradition of Oberlin College. Like many U.S. colleges and universities that have endured from the 19th century, it now is secular in outlook, and it retains its liberal arts focus. William F. Slocum, president from 1888 to 1917, oversaw the initial building of the campus, expanded the library and recruited top scholars in a number of fields. In 1930, Shove Chapel was erected by Mr. John Gray, to meet the religious needs of the students (though Colorado College is not religiously affiliated). Colorado College is considered a "most selective school" by U.S. News & World Report. The admissions rate to the college was tied for the 8th lowest among national liberal arts colleges in the U.S. (excluding military academies) in 2017. When statistical ties are taken into account, the admission rate, excluding military academies, was the 5th lowest for all national liberal arts colleges. For the Class of 2022 (enrolled fall 2018), Colorado College received a record 8,552 applications and admitted 15%, tied for the lowest acceptance rate in the school's history, with 551 incoming students. For the seventh year in a row, more than a quarter of the incoming class self-identify as students of color, and 9 percent are international students. The class includes 44 QuestBridge students. Now in the fifth year of its affiliation with the QuestBridge organization (questbridge.org), the college has more than 150 QuestBridge students enrolled. For the class of 2022, the median ACT Composite score of accepted students was 32 (English: 34; Math: 30), with a median SAT combined score of 1430 (Evidence Based Reading & Writing (EBRW): 705; Math: 730). In its 2018 edition, U.S. News & World Report ranks Colorado College as tied for 23rd-best liberal arts college in the nation and No. 1 among the most innovative national liberal arts colleges. The most innovative schools are those "making the most innovative improvements in terms of curriculum, faculty, students, campus life, technology or facilities." Kiplinger's Personal Finance places Colorado College 16th in its 2017 ranking of best value liberal arts colleges in the United States. In 2010, Colorado College was ranked 21st in Newsweek's list of "25 Most Desirable Small Schools," which ranks schools based on selectivity, yield rate, retention rate, and quality of facilities and housing. CC was also ranked 19th on Newsweek's "Most Desirable Urban Schools" list in the same year. In 2012, Colorado College placed 12th in Niche's "Colleges with the Happiest Students." Students must satisfactorily complete 32 credits to graduate in addition to specifying a major of study and fulfilling those requirements. The college offers a unique alternative for students who wish to design their own major. However, standardized cross-cutting requirements still apply, though these criteria are fairly broad compared to those at comparable colleges. The small campus of 2,000 boasts more than one hundred clubs and student groups, ranging from professional groups, interests clubs, and social groups. Among them are intramural sports groups, which have a strong presence on campus. There are a vibrant array of intramural teams, ranging from broomball to ultimate frisbee. Most students live on or directly adjacent to the college campus, fostering a closed and tight-knit community. During the first two years of study, students are required to live on campus in one of the student dorms, while apartments and student-owned housing become available as upperclassmen. Many of the earliest campus buildings, including Bemis, Cossitt, Cutler, McGregor, Montgomery, Palmer, and Ticknor Halls, are on the National Register of Historic Places, along with Shove Memorial Chapel and the William I. Spencer Center. Arthur House or Edgeplain, once home to the son of President Chester A. Arthur, is also on the National Register. Some of the more recent notable buildings include Tutt Library, designed by Skidmore, Owings & Merrill and later expanded and renovated by Pfeiffer Partners to be the largest carbon-neutral academic library in the United States, which received the 2019 AIA/ALA Library Building Award, Packard Hall of Music and Art, designed by Edward Larrabee Barnes, and the Edith Kinney Gaylord Cornerstone Arts Center, which was designed by Antoine Predock with input from faculty and students. The school's sports teams are nicknamed the "Tigers." Colorado College competes at the NCAA Division III level in all sports except men's hockey, in which it participates in the NCAA Division I National Collegiate Hockey Conference, and women's soccer, where it competes as an NCAA Division I team in the Mountain West Conference. CC dropped its intercollegiate athletic programs in football, softball, and women's water polo following the 2008–09 academic year. In 1994, a student referendum to change the athletic teams' nicknames to the Cutthroat Trout narrowly failed, by a margin of 468-423. The Tigers hockey team won the NCAA Division I championship twice (1950, 1957), were runners up three times (1952, 1955, 1996) and have made the NCAA Tournament eighteen times, including eleven times since 1995. In 1996, 1997, and 2005, CC played in the Frozen Four, finishing second in 1996. Fifty-five CC Tigers have been named All-Americans. Hockey Hall of Fame coach Bob Johnson coached the Tigers from 1963 to 1966. Colorado College's alumni include a Nobel Prize winner, a Pulitzer Prize winner, 2 MacArthur Fellows, 14 Rhodes Scholars, 31 Fulbright Scholars, and 68 Watson Fellows. CC has also graduated 18 Olympians and 170 professional hockey players, including over 30 current and former NHL players. ^ As of June 30, 2018. "Market Value & Asset Allocation". ^ "Visual Identity Resources". coloradocollege.edu. ^ "Welcome, Class of 2022". ^ a b "Colorado College". U.S. News & World Report. ^ a b "Kiplinger's Best College Values: College Rankings, 2017". Kiplinger's Personal Finance. December 2017. ^ a b Colorado College. History of Colorado College Archived May 27, 2010, at the Wayback Machine. Retrieved on: 2010-05-19. ^ "Colorado College". U.S. News & World Report. 2016. ^ "National Liberal Arts Colleges". U.S. News & World Report. Retrieved September 29, 2017. ^ a b c "Class of 2022". ^ "Most Innovative Schools – National Liberal Arts Colleges". U.S. News & World Report. 2016. ^ El Paso County – Colorado State Register of Historic Properties Archived December 24, 2013, at the Wayback Machine. History Colorado. June 8, 2013. ^ "After CC • Colorado College". Colorado College. Retrieved February 29, 2012. ^ "Profile • History • Colorado College". Colorado College. Retrieved February 29, 2012. ^ "Peter Blasenheim". Colorado College. Archived from the original on May 27, 2011. Retrieved February 29, 2012. ^ Hayward, Steven (2011). Don't Be Afraid. Knopf Canada. p. 313. ISBN 0676977367. ^ "Winners of the 2012 Bancroft Prize Announced". Retrieved December 10, 2012. ^ "2012 Finalists". Retrieved December 10, 2012. ^ William Heuslein (January 19, 2010). "The Man Who Predicts The Medals". Forbes. 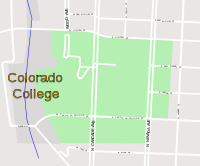 Wikimedia Commons has media related to Colorado College. Wikisource has the text of the 1905 New International Encyclopedia article Colorado College. "Colorado College" . Collier's New Encyclopedia. 1921.